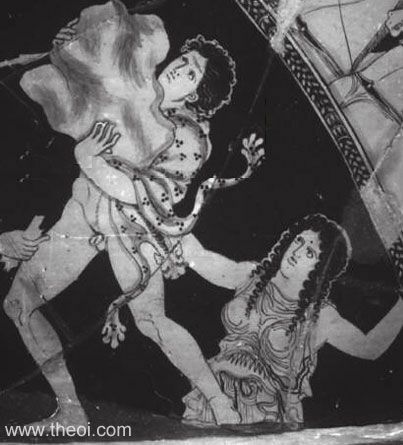 Detail of a Gigante and Gaea (the Earth) from a painting depicting the Gigantomachia (War of the Giants). The earth-goddess is depicted as matronly woman half-risen from the earth. The giant is cloaked in a panther skin and wields a large boulder.